Your hospital operates around the clock, which is why we're always available to provide support. HCTec’s U.S.-based help desk support team is always available for your organization’s IT-related questions, incidents and requests. Is your IT help desk prepared for the future? Let HCTec be the single point of contact for your organization’s IT-related questions, incidents and requests. Our highly-trained help desk team leverages state-of-the-art technology and practical experience to provide informed assistance to end users via phone, email or online chat. Plus, support hours can be customized to meet your specific needs, like supporting during times of unexpected overflow or during scheduled outages. 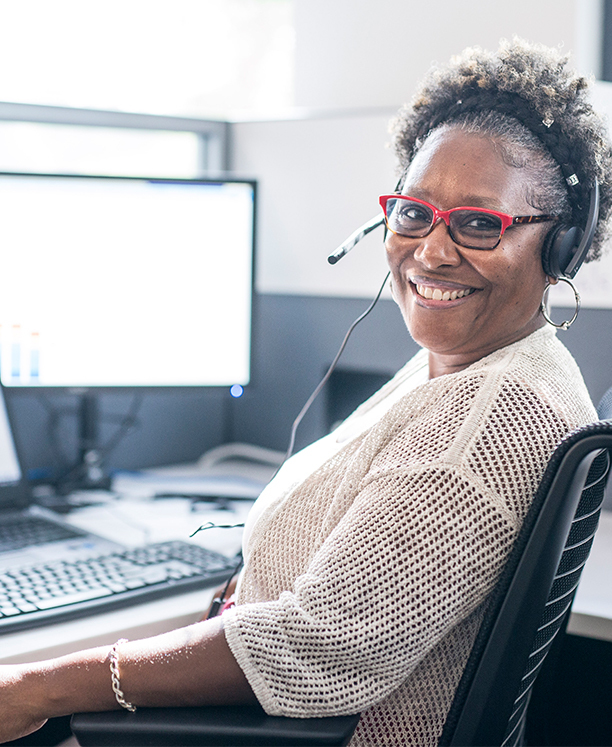 Our Atlanta and Nashville-based help desk team has advanced technical skills experience and prides themselves in their customer service and communication skills. We’re available at all hours via phone, email and live chat to support with tasks ranging from Tier I, like password resets and basic business application support, to Tier II, like more complex bug fixes and system support. Our work is measured against metrics like first call resolution, abandonment rate and speed to answer, so you know you’re getting the highest quality of service from our team. Want to learn more? Watch our video or take a look at our Best Practices for Choosing a Managed Services Partner for EMR Support eBook.